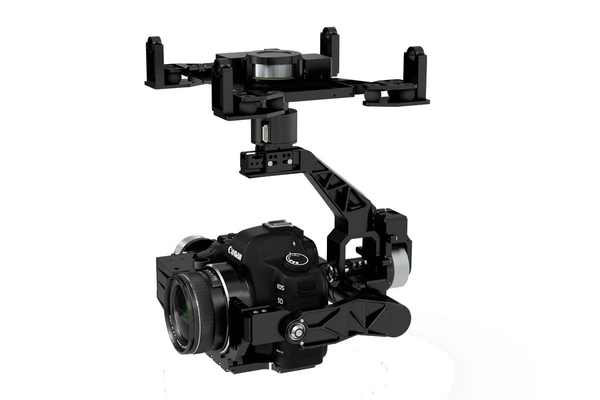 The Z15-5D III (HD) is a sophisticated gimbal designed specifically for aerial creativity. Its HD video output port and lightweight design enable you to capture beautiful, stable shots for all of your high-level projects. The Z15-5D III (HD) gimbal is built specifically to hold the Canon 5D Mark III camera, giving you stable footage and precise control within ±0.02°. When used with a professional DJI flight system, it keeps your Mark III secure, steady and under control in even the most difficult of flight conditions. Get real-time HD video while controlling the camera with a built-in video output module that is perfectly compatible with the DJI Lightbridge HD digital video downlink. First-person-view flying is available in both HD and AV, and the AV output works with any 5.8G analog video downlink. The 3-axis Zenmuse system’s creative mechanical design makes control both intuitive and easy. A tail potentiometer greatly increases stability and precision, while internal slip rings replace complicated wiring. All power and signal lines have been integrated into gimbal itself, resulting in a completely free control axis that offers a maximum yaw of ±360°, pitch of -120° to +15°, and a roll of ±25°. The Zenmuse Z15-5D III (HD) is ideal for the DJI S1000 flight platform and the A2 or WooKong-M flight controllers. Attach the DJI Lightbridge HD digital video downlink, or an iOSD Mark II and a 5.8G analog video link, for a complete solution to your aerial photography and cinematography needs. Three control modes expand your creative boundaries and ensure ease of flight. Orientation-locked, Non Orientation-locked, and Back to Mid-point modes can be switched to on the fly, easily adjusting to the needs of each shoot. 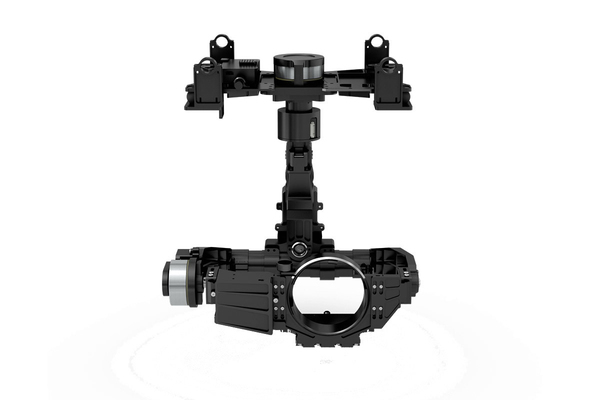 Every Zenmuse gimbal gets its precision from DJI’s custom designed Gimbal Servo Drive Module. 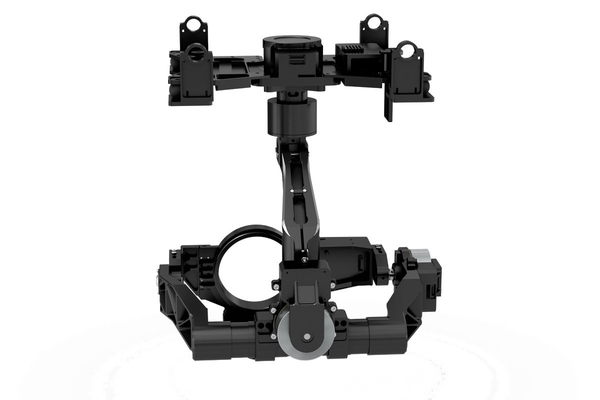 Each module is tailored to the weight and balance of the specific camera the gimbal has been designed to hold. This significantly improves control and stability while maximizing torque and minimizing vibrations. A new stabilizing algorithm has been utilized, which together with the extremely precise machinery gives you effortless control. Because the IMU is built in, your gimbal requires no extra equipment or wiring, reducing weight and allowing you to start shooting faster. The shutter can be controlled remotely by an infrared receiver.